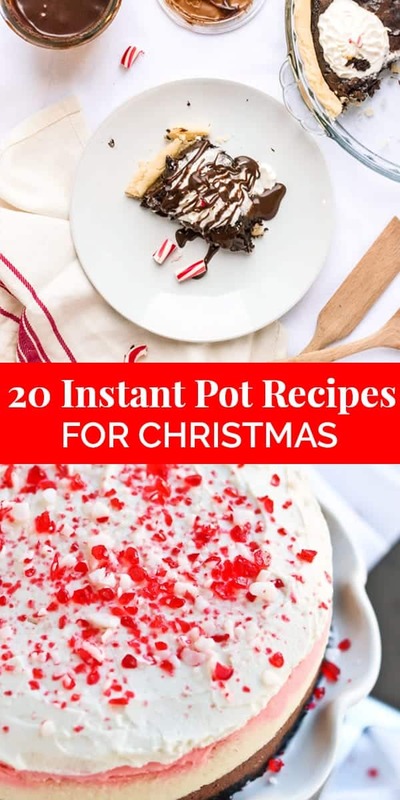 If you’re in the market for Instant Pot recipes for Christmas and the holidays, then you showed up to the right place! I’ve teamed up with some of the top Instant Pot recipe developers and bloggers on the internet to bring you a full menu. This roundup is complete with 20 Instant Pot recipes to cover appetizers, main courses, sides, and dessert! YOU’RE WELCOME. We’ve put together this beautiful collage, which has the picture and a link to the recipe so you can go straight to each one, pin it, and get to making! Click through below. Use those little grooves on the side to hold your Instant Pot lid. Then you don’t get steamy Instant Pot residue all over your counter! Here’s a video of what I’m talking about. Always make sure you have at least 1 cup of water in your pot, or else it won’t produce enough steam. Be sure to check out my other Instant Pot recipes here!